The pond near my office complex on Clairmont Road is home to numerous ducks, a couple of swans, and depending on the season, Canadian geese. 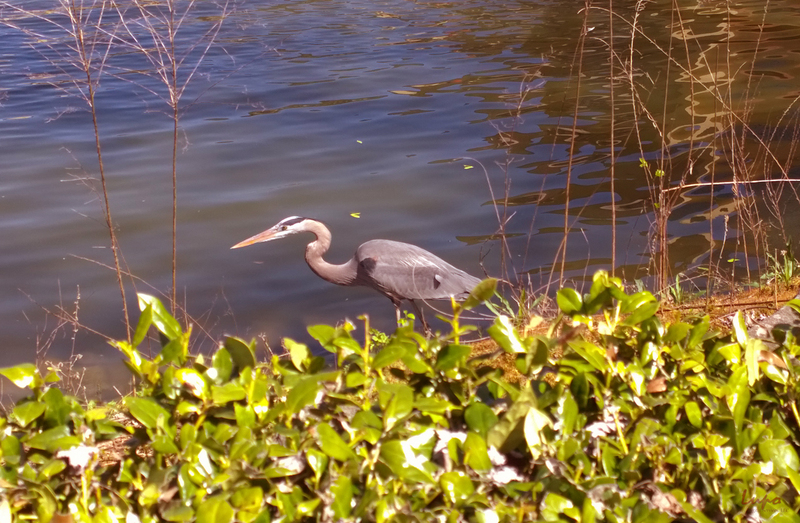 Every now and then, a blue heron shows up. Last April, I was fortunate enough to catch some photos of one. Whenever one shows up, it usually hangs out for a few days, then disappears. I’m more likely to see one in the Spring and early Summer. 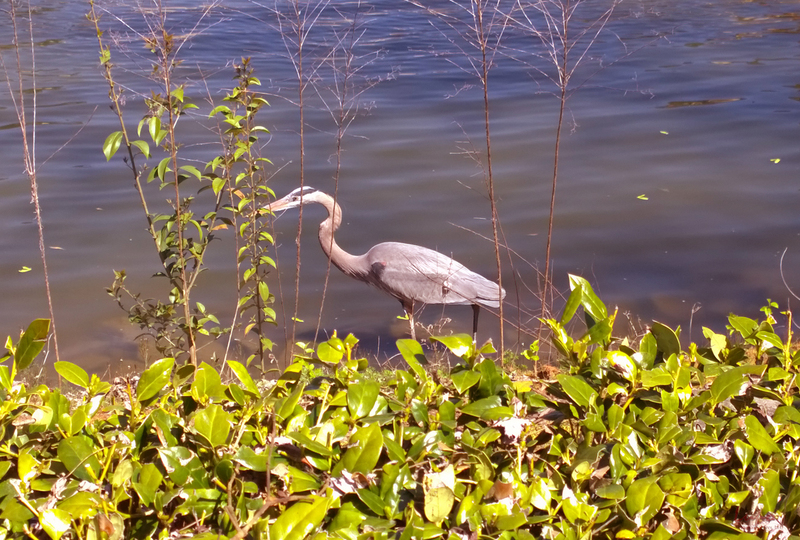 I see them at Stone Mountain a lot, but I’m always glad to see one drop by the local pond. 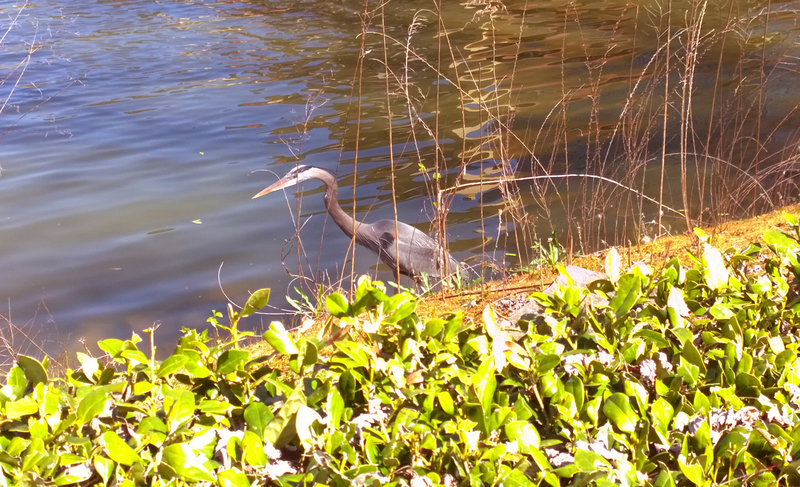 When I was in Myrtle Beach in October, I managed to catch an Egret, a close relative of the blue heron, in action. Here’s some video of that.